15th-century European portrait of “Geber”, Abu Musa Jabir ibn Hayyan. The original Illuminati were actually a group of Middle Eastern Sufis from Abbasid Iraq, who studied transmitted teachings documented in the writings of the venerable Shaykh al-Ishraq or the “Master of Illumination” Shahab ad-Din Yahya as-Suhrawardi. Shahab ad-Din as-Suhrawardi was a descendant of Muhammad ibn Abu Bakr ibn Abi Quhafa, and the adopted son of Imam ‘Ali ibn Abi Talib, and his appointed Governor for Egypt. Shahab ad-Din wore the Qadiri Sufi cloak (Khirqa) from Ghawth al-Adham Shaykh ‘Abd al-Qadir al-Jilani, who wore the cloak of the Khwajagan (Masters of Wisdom) from Khwaja Yusuf Hamdani. Shah al-Din’s spiritual chain of transmission back to the Prophet, upon whom be peace and blessings, traces through Imam ‘Ali ibn Abi Talib. As-Suhrawardi’s writings were known as حكمت اشراق hikmat-i ishrāq, or the Philosophy of Illumination. The first Sufi Order, not transmission, was founded by him, under the tutelage of who would be known from hereon as al-Ghawth al-Adham, Shaykh Muhi al-Din ‘Abd al-Qadir al-Hasaniy al-Husayni, al-Ja’fari al-Jilani, at the request of the Abbasid Caliph. These Sufis were known as the Ishraqiyyun (the Illuminated Ones), or simply “Illuminati” in Abbasid Iraq. Secretum Secretorum is a mid-12th century Latin translation of the Arabic encyclopedic treatise known as The Book of the Secret of Secrets, or in Arabic (Kitab Sirr al-Asrar), attributed to Abu Musa Jabir ibn Hayyan, al-Sufi, a student of the Sixth Imam, Ja’far al-Sadiq. It contains the original Arabic writings known as the translation of the Smaragdine Table, or Emerald Tablet of Thoth the Egyptian (Hermes al-Haramisah, Idris). The Arabic encyclopedic treatise is on a wide range of topics, including statecraft, ethics, physiognomy, astrology, alchemy, magic and medicine. 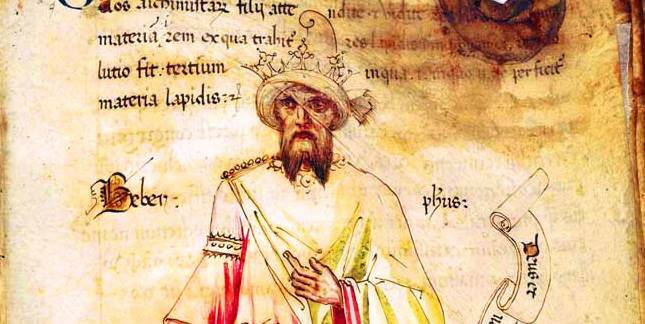 It was highly influential in Europe during the High Middle Ages. It predates the writings known as the Rasa’il of the Ikhwan al-Safa (Epistles of the Brethren of Purity), who were known as the ‘original Freemasons’ of Basra, Iraq. The Arabic version was translated into Persian (at least twice), Ottoman-Turkish (twice), Hebrew (and from Hebrew into Russian), Castilian and Latin. The Latin Secretum secretorum was eventually translated into Czech, Russian, Croatian, Dutch, German, Icelandic, English, Catalan, Castilian, Portuguese, French, Italian and Welsh. 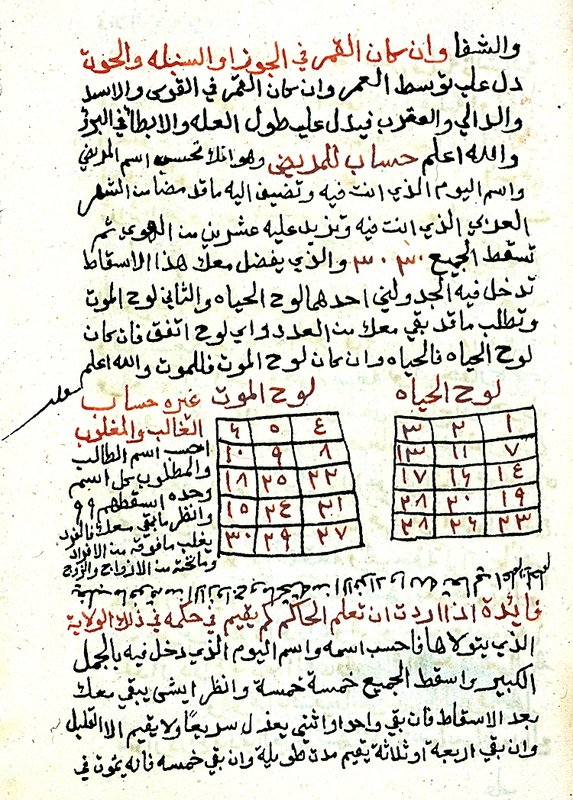 The Arabic treatise is preserved in two forms: a long version of 10 books and a short version of 7 or 8 books, preserved in a total of about fifty copies. Two charts for determining whether a person will live or die based on the numerical value of the patient’s name. From copy of a portion of Kitab Sirr al-Asrar. This entry was posted on September 22, 2013 by ASFC in Ahmed Amiruddin and tagged Arabs, Geber, Illuminati, Imam, islam, Jabir al-Sufi, Jabir ibn Hayyan, Jafar, Jafar al Sadiq, Kitab Sirr al_Asrar, Mawlana Shaykh Nazim Adil al Haqqani, Prophet Muhamamd, Sayyid Ahmed Amiruddin, Secretum Secretorum, Sufism, the Secret, Twelve Imams.